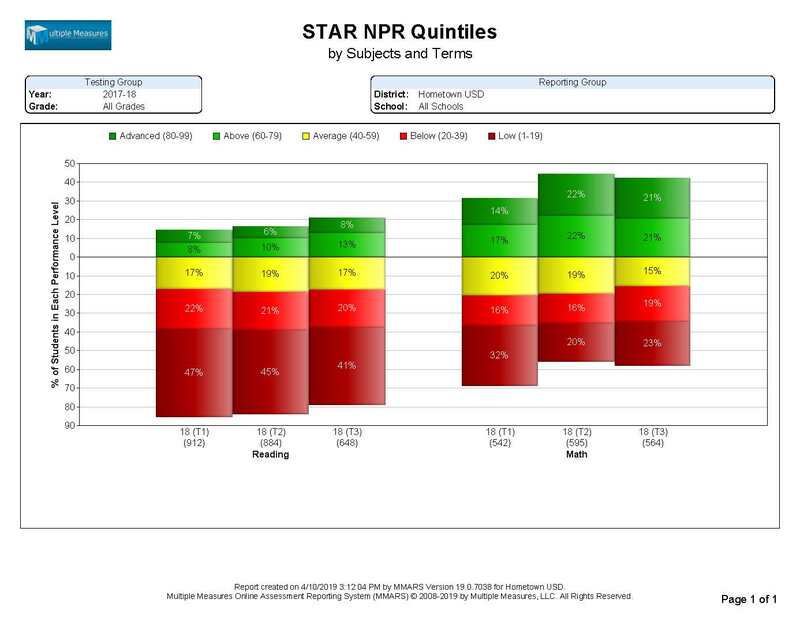 This report compares the NPR Quintiles for a given set of students across multiple terms. Note that this is not a cohort report, so each year represents a somewhat different set of students. This report compares the Average Scaled Score for any given set of students, across multiple years. 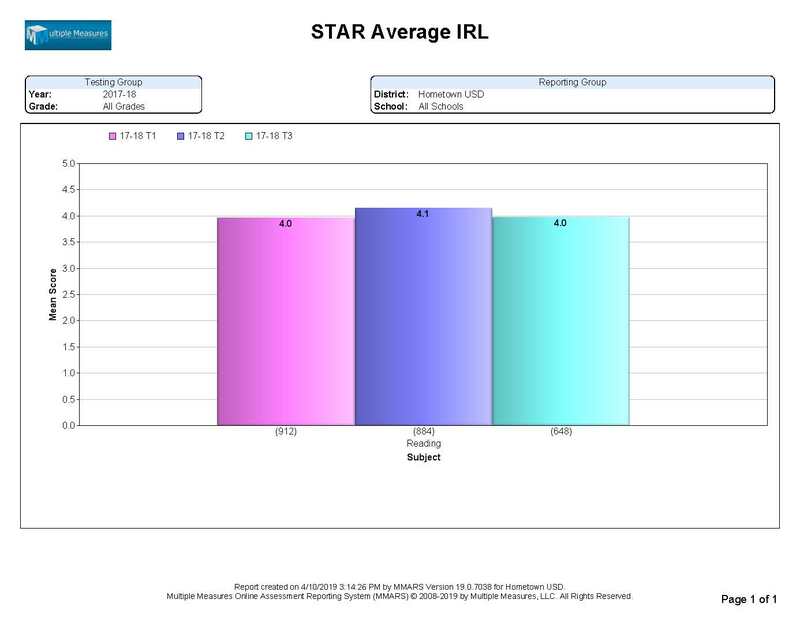 This report compares the Average Instructional Reading Level (IRL) for any given set of students, across multiple years. This report compares the Average Grade Equivalent (GE) for any given set of students, across multiple years. 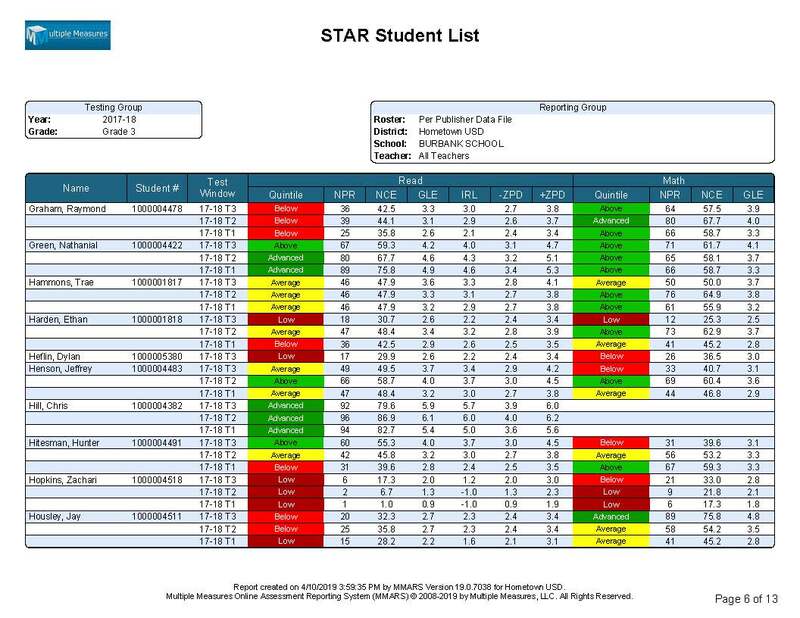 The STAR Grade Equivalent provides a comparison of a student’s performance with that of other students around the nation. This report compares the Average Oral Reading Fluency (ORF) for any given set of students, across multiple years. 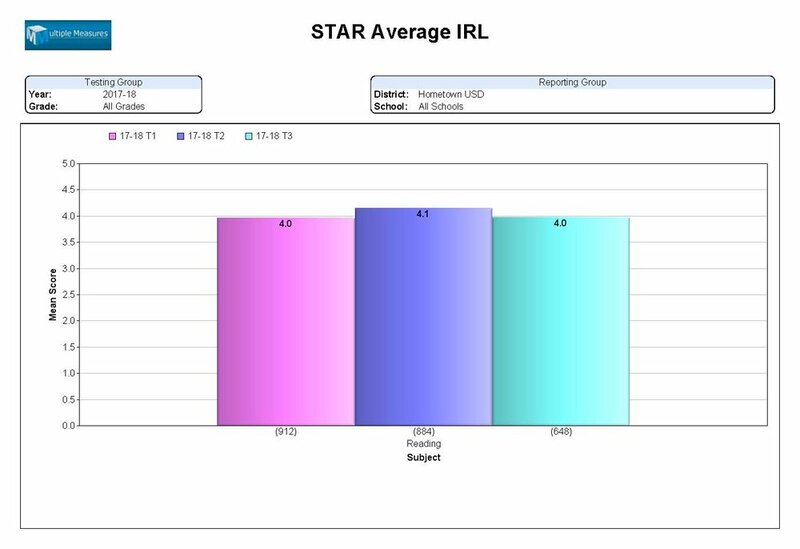 ORF scores and reports are only available for 1st through 4th graders, for this subject is only reported for these grades. Note: Equivalent “Year-over-Year” Average Reports are available, comparing the same term across multiple years (eg. spring). 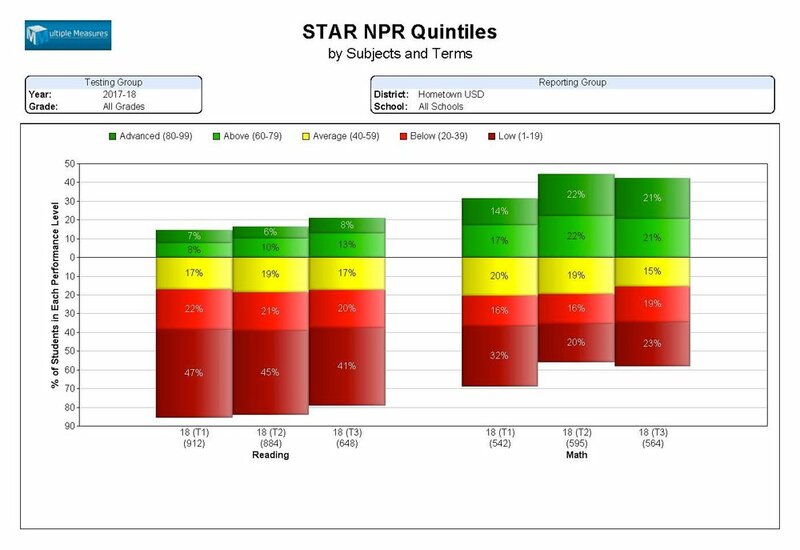 This report lists multiple years of both ELA/Literacy and Math Quintiles, along with NPR, NCE, GLE, and IRL subject scores for all of the students at a given school, in a given grade or in a specific classroom. What about +/- ZPD?